I’m afraid that there isn’t a huge amount in the newsletter this week. I’m sorry, but I’ve been busy on two different areas of the site. Firstly, I’m on holiday at the moment, doing what I enjoy most of all; cruising aimlessly around the canal network without a care in the world. We’re currently moored about three miles away from Market Harborough on our way back to the Grand Union Leicester Line at Foxton locks. A canal route planner will tell you that the journey from Napton Junction to Market Harborough takes about twenty hours. We’ve taken a week to get here, but we haven’t been in a hurry. We’ve stopped often along the way, usually on very peaceful moorings, eaten regularly and very well in village and canal-side pubs and generally just chilled out. I’ve written about our trip so far here. I hope the account makes up for this week’s content poor newsletter, and I hope you’ll find this followup to last week’s announcement interesting too. Last week I told you that for a while now I’ve been thinking of offering a new service to both potential and new narrowboat owners. I said that the intended service would be part helmsman course and part discovery day. I asked for feedback on the proposed service here. If you haven’t yet given me your feedback, there’s a very short form to complete. Filling it in will take you less than a minute and will still help me tremendously. The response I’ve had so far has been phenomenal. I have received emails from over one hundred potential boat owners and several existing boat owners expressing an interest. I have decided to offer the service, starting within the next month. Just about anything else you want to know! 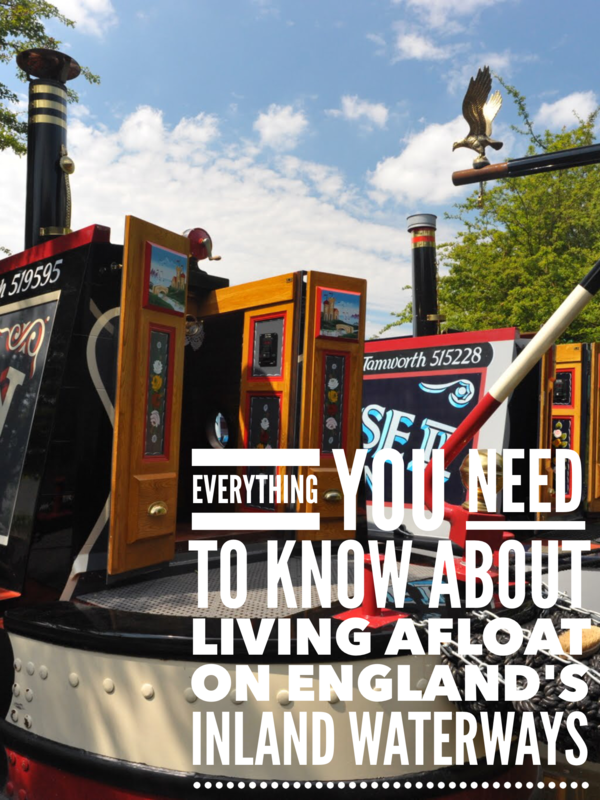 To comply with RYA safety guidelines for training carried out on traditional stern narrowboats, each training day will be limited to two singles or one couple. The day will begin at 8am and finish at 6pm. Helmsman training will take place on the Grand Union and Oxford canals where there are both wide and narrow locks. The discovery days will be on my boat, usually on our beautiful mooring at Calcutt Boats Meadows marina. I’m setting the booking process up at the moment. Once that is done I’ll detail it in the newsletter. I will be running the discovery days around my current full time work commitments so the slots will be limited to one day each week. Given the number of people who have emailed me so far, the slots will go very quickly. If you are interested in the service, and you haven’t filled in the feedback form yet, please complete it now. Everyone who has completed the short survey will be notified as soon as the availability calendar is live. You can complete the survey here. There are a wide variety of lock styles and operation, far too many of which I know very little. Once more I’ve turned to widely travelled continuous cruiser Peter Earley for the information I need. Here’s what he has to say about the different styles you’ll come across in your travels. “I’ve always been interested in industrial archeology, especially railways and motor vehicles, but canals tick all the boxes for me. There are so many variations of lock gear across the country that it is almost possible to tell where you are just by looking at the paddle gear and other lock furniture. First there are the lock gates. Narrow locks can have single gates at both ends such as at Walsall, making for hard work pushing those heavy bottom gates. Single gates at the top and double at the bottom or double gates at each end. Obviously, these are much lighter and, theoretically easier to push but, unless a bridge is provided, a lot of walking round is involved. Some locks, like many on the Oxford, are shallow enough to allow you to walk across the roof of the boat to access the other side but some boaters will jump across the gap between a closed and open gate. Something Jeannette has forbidden me to do. Other boaters say the steerer can pull the bottom gate closed with a boat hook on entering or exiting a lock, a trick I tried and failed. The working boatman used a strap or rope to pull the gate closed as the boat entered the lock and you still see locks on some canals with strapping posts, often with cast iron caps on them. You will see steel gates as well as wooden with nasty, thin balance beams and some wide locks may have wooden gates but steel balance beams that, from a distance, look like wooden ones. Those on the GU are one piece but on the L & L they are made from two pieces of wood bolted one to the other give a nice, hefty appearance as befits a Northern canal. But, it is really the paddle gear where the regional differences show. Even the names change across the country – paddles, sluices, slackers, cloughs – all names for the thing that lets the water in or out. We are all familiar with the rack and pinion gear but if British Waterways had had their way in the 80s these would have been consigned to history in favour of those horrible hydraulic gear you still see on some locks. I don’t know whose idea this was but I’m glad common sense prevailed in the end. But even that rack and pinion gear changes depending on the canal. The most common being the ones mounted to a cast iron frame but on the Southern part of the Grand Union they use a large wooden post and in other places a steel frame pleasingly curved such as the Rufford Arm or unashamedly utilitarian as on the Wigan flight. And then there are the windlasses. You’ve probably got one of those double ended ones for the tapered spindle and the GU square but they are no good for the Middle Levels or Great Ouse. And if you visit the River Wey, that too requires a different one. A lot of Leeds and Liverpool boaters carry a special double ended windlass which is about 18 inches long and has two sets of eyes, one at the normal length and another at the end to give the necessary leverage required for their hefty gear. Speaking of the Leeds & Liverpool, it has probably the greatest variety of gear. Ground paddles that are huge square boxes with a spindle stuck out of the top, sometimes with a handle permanently fitted and a chain to drop over it to stop it dropping. There are simple wooden sliding cloughs that are opened by grasping the handle and heaving it upwards. There is a gate paddle at Burnley operated by a long rack and pinion. This same lock has gates that are opened by winding a handle on the side of a big gearbox. This was necessitated by the adjacent road bridge being widened and encroaching on the lock, meaning conventional balance beams would be too long. This shortening of balance beams is not restricted to Burnley. There are several other locks where road widening takes scant account of the boats ability to open the lock gates. They may be cranked, have a chain and windlass or just be left shorter meaning you need to exert more effort to open them. Having wound your paddle up, you need some means to keep it there. The most usual is the pawl and ratchet. Never lift these off when winding the paddle up. If you leave go of the windlass and the paddle drops it can cause you a nasty injury. When winding down, only lift them enough to clear so as to be able to drop it quickly if your windlass comes off. Of course, there are as many methods of keeping the paddle up as there is lock gear. Those massive ones on the Northern part of the GU have a shaped bit of steel hanging on a chain to drop over the square spindle though looking at the casing I suspect that when new they had a piece that slipped into place. If you’ve attempted the Rochdale 9 they too have a bit of steel dangling on a chain. This time however, you just jam it into the gear. They end up covered in grease so some now have a cable tie in an attempt to stop the grease getting onto your hands. It is an unfortunate sign of out times that much lock gear is now fitted with the nicely named ‘water conservation locks’ known by most of us as anti-vandal locks. Mostly these use a square ended socket or handcuff key to unlock but some need the BW Watermate key. Which you find the chances are it will be stiff to use or broken. I find the handcuff key will often slip because the square has been worn away due to over-tightening by boaters although, having said that, the keys are a pretty loose fit even on new locks. Placing the end of the key on a mooring bollard and a few smart whacks with your lump hammer will usually flatten it enough to ensure a better fit. These bridges are a pain in the neck for solo boaters. The usual operation involves the helmsman dropping off a crew member on the towpath next to the bridge and waiting, whistling tunelessly and counting clouds, while the hard working crew crosses the bridge, discovers how it works by either trial and error or a set of written instructions pinned to the bridge, moves the bridge, waits for the helmsman to wake up and take the boat through to the far side of the bridge before lowering and then crossing the bridge to rejoin the boat. Of course this method of operation doesn’t work if you are a lone boater. An often effective solution is to simply wait for another boat to arrive and ask the crew to help with the operation. This option is less likely to work of course in the winter, in bad weather, early in the morning or late at night. An alternative is to try to tie your boat up on the offside before the bridge, making sure that you are not going to obstruct it when it swings, raise or swing the bridge, pull the boat through the gap, tie the boat up again, replace the bridge then continue with your cruise. A variation of this, and one which is guaranteed to produce a steady stream of boaters on an otherwise empty canal just at the time when you want them least, is to tie one end of the boat to a towpath bollard and the other to a point on the offside. Although it’s slightly more difficult to get on and off the boat on one side or the other because you’ll have to hop on or off your boat at the bow, you’re more likely to find a single point to tie your boat to on the offside rather than two points and a straight stretch of bank to moor against. The downside is that there is a fair amount of messing around maneuvering the boat into position in the first place, getting off the boat to operate the bridge, getting back on to the boat to bring it through the gap and then going through the whole procedure again. The good news though is that you can get through on your own. Please note that this won’t work with short boats and wide canals!